Ever encountered this situation? You're going about your daily business and discover that one of your patients on hemodialysis has an elevated phosphorous. You skim through the list of prerequisites and see that yes, the nutritionist has been by to review dietary sources of phosphorous, the dialysis nurse has checked in on adherence to phosphorous binding medications, there's no activated vitamin D on the med list and you've explored increasing the frequency of dialysis or moving to extended nocturnal with the patient before and it's not in the cards. Is there anything rational that can be done with the phosphorous binder dose to improve phosphorous control? Thanks to the good work of the folks at the Frequent Hemodialysis Network (FHN) trial the answer is yes. During the trial the investigators faced the question of whether or not changes or substitutions in multi-binder regimens represented increases or decreases in phosphorous binding capacity. In order to answer this question the investigators combed through stool and urinary phosphorous recovery studies of individuals given various phosphate binders. In these trials individuals were given test meals with known amounts of phosphorous. The amount of free phosphorous appearing in the stool or urine was measured with and without binders with the difference being considered the amount of phosphorous being bound to binders in the gut. With this information in hand the FHN group additionally looked at parallel group trials were patients on dialysis were given one of two binders and then had their doses titrated to equal serum phosphorous levels. What emerged was a picture of the relative phosphorous binding capacity of various common binders. Below is a table of commonly used phosphorous binders and the derived phosphate binder equivalent doses. As you can see, all the phosphate binder equivalent doses are referenced to 1g of calcium carbonate. So as an example, 5 tabs of 800mg sevelamer carbonate binds an equivalent amount of phosphorous (5 times 0.6 = 3) to 3 tabs of 500mg lanthanum carbonate (3 times 1.0 = 3). Now, where ones phosphorous should ideally be is unclear (as nicely pointed out over at PBF a while back) as is the choice of agent (unless you count the realization that chronic aluminum binders where a bad deal). Both the KDOQI and KDIGO guidelines don't endorse any one class binders over any other (again, excluding aluminum) though KDIGO gives a "2C = we suggest based on low grade evidence" that calcium based binders be restricted in the presence of arterial calcification, adynamic bone disease or persistently low PTH. KDOQI, based on expert opinion, suggests that the amount of calcium from binders be limited to 1.5g/day (there are 200mg of calcium in a 500mg calcium carbonate tab and 169mg of calcium in a 667mg tab of calcium acetate). It's hard to believe another year has come and gone. 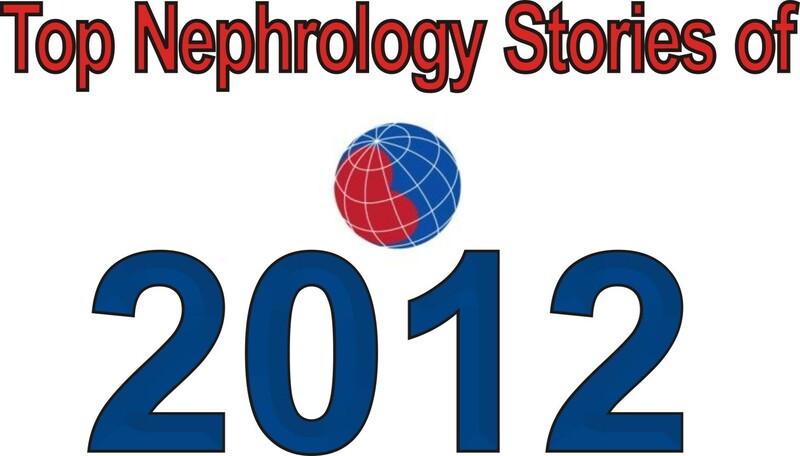 2012 proved to be a year of ups and downs in the nephrology community. Large clinical trials from the failed phase 3 bardoxalone study in diabetic nephopathy to the positive results of the tolvapan TEMPO 3/4 trial in ADPKD dominated the scene. The passing of a transplantation pioneer and Nobel Prize awardee Dr. Joseph Murry and the awarding of the 2012 Nobel prize to Drs. Lefkowitz and Kobilka for their work on G-coupled protein receptors were two stories that also garnered attention. This is by no means a complete list of all of the major news stories this year. Feel free to add to the list in the comment section below. As usual, I will summarize each of the top 10 studies/stories that you voted for in our year-end poll in increasing order of votes (in %). A total of 78 votes were received. 10. PEAK data showed that first-year mortality on dialysis was cut by 12% (14%)- Kidney Care Partners launched the Performance Excellence and Accountability in Kidney Care (PEAK) effort in 2009 in an attempt to decrease the high mortality (2009 USRDS data showed a 30% first year mortality) that is seen in patients during the first year of dialysis. The goal was to decrease first year mortality by 20%. This campaign focused on patient education, case management, nutrition, anemia management, dialysis adequacy, catheter use and psychological and social support. The results showed a cumulative 12.5% drop in first-year mortality after dialysis initiation. The data was presented to a congressional educational briefing to help maintain adequate funding of ESRD care. These results are encouraging and with more concerted efforts I hope the goal of further reduction is reached. 9. Drs. Lefkowitz and Kobilka awarded the Nobel Prize in Chemistry (15%)- Dr. Lefkowitz and his former post-doc Dr. Kobilka both received the Nobel prize in chemistry in 2012 for their body of work on G protein-coupled receptors. This important work defined how cell surface receptors mediate some of the basic physiological functions mediating both normal homeostasis and pathologic disease. The majority of medications used to treat hypertension, kidney disease and cardiovascular disease target G protein-coupled receptors. 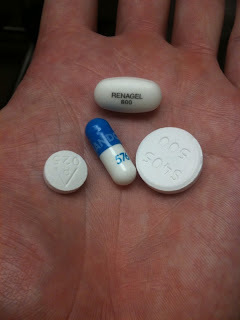 These include alpha- and beta- adrenergic receptor blockers and angiotensin receptor blockers (ARBs). This was quite an achievement that has led to the development of a large repertoire of medications to treat not only cardiovascular disease but many other diseases such as depression (SSRIs), allergies (anti-histamines), and many others. Congrats to a well deserved award. These groups are further defining how these receptors signal. An phase II clinical trial exploring the novel beta-arrestin biased angiotensin receptor ligand in heart failure is ongoing. 7. Chloride restrictive IV fluid administration shown to be superior to chloride liberal in the ICU published in JAMA (21%)- This was a provocative study performed in an ICU setting at a single center at the University of Melbourne, Australia. Joel Topf at PBF and Gearoid here on RFN have excellent blog posts about study and its implications. In short these investigators conducted a prospective, open label, sequential period study in 760 ICU patients comparing a control group with usual practices (chloride liberal) to an experimental group that instead received lactated solution (Hartmann solution), Plasma-Lyte 148 or chloride-poor 20% albumin (chloride restrictive). The primary outcome was looking at an increase in baseline creatinine to peak creatinine and AKI as dictated by RIFLE criteria. 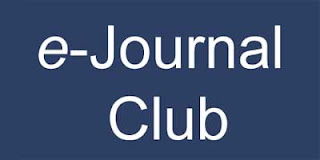 They reported that the chloride restrictive group had a lower change in creatinine (0.16) vs. chloride liberal group (0.25). Interestingly they found a significant reduction in AKI with a much lower need for acute dialysis (78 in the liberal vs. 49 in the restrictive). However, no differences were seen in mortality or length of ICU stay. As Joel stated in his PBF post "this is an intriguing paper and I look forward to more data, even if it means the surgeons were right". 7. Passing of Dr. Joseph Murray first surgeon to successfully perform a kidney transplant (21%)- Coming in at a tie for 7 in our poll is the passing of a giant in field of nephrology- Dr. Joseph Murray at age 93. Ajay Singh at The Kidney Doctor has an excellent post about Dr. Murray. In 1954 he performed the first successful kidney transplant at the Peter Bent Brigham Hospital in Boston, MA between the identical Herrick twins. This was truly a monumental achievement that ushered in a new era in the treatment of kidney failure. I would recommend reading Surgery of the Soul, a autobiography of Joseph Murray. 6. Diuretics beat ultrafiltration in decompensated CHF published in NEJM (29%)- Coming in at number 6 pitted aggressive therapy with diuretics and vasodilators (pharm group) in 94 patients versus mechanical ultrafiltration (UF group) in 94 patients with decompenstated heart failure (the CARRESS-HF trial). This trial was stopped early due to a lack of evidence of benefit as well as an excess of adverse events with ultrafitration. Before this trial was published the use of mechanical ultrafiltration was starting to garner more popularity as a means of volume removal in CHF with cardiorenal syndrome. However, this study reported that the use of stepped pharmacologic-therapy (diuretics and vasoactive agents) was superior to ultrafiltration. The pharmacologic group had a -0.04 increase in creatinine while the UF group had a +0.23 increase at 96 hrs. There was no difference in weight loss between the groups. However, there was more serious adverse events in the UF arm (72% vs. 57%) owing mainly to bleeding, renal failure (17 UF and 14 Pharm) and catheter complications. There was no difference in mortality (although there was a trend towards higher mortality in the UF group) or rehospitalization rate. This trial puts serious question to the use of UF in decompensated CHF with cardiorenal syndrome. Read the editorial accompanying this article for more perspective. 4. Results of ALTITUDE trial using aliskiren combined with ACEi and ARB published in NEJM (30%)- Coming in at at tie for 4th was the ALTITUDE trial. The results were presented at ASN Kidney Week in San Diego this year and published simultaneously in the NEJM. This was a large prospective double blinded placebo controlled trial involving 838 centers in 36 countries. 8606 patients with type 2 diabetes were randomly assigned to 2 groups- Placebo + ARB or ACEi or Aliskiren (300mg) + ARB or ACEi. This trial was stopped early after the planned second interim efficacy analysis where they concluded that the increased rate of adverse events was not offset by any measurable cardiovascular or renal benefit from aliskiren and in fact favored the placebo arm. The primary end-point was a composite of the time to cardiovascular death or a first occurrence of cardiac arrest with resus, nonfatal MI, nonfatal stroke, heart failure hospitalization, ESRD, death from renal failure, doubling of serum creatinine. The primary end point was reached in 783 patients in the aliskiren arm and 732 in the placebo arm. (P=0.12 CI 0.98 to 1.20). BP was lower in the aliskiren group as was the amount of albuminuria. However, there were no differences in secondary renal end point. There was an increase in adverse events in the aliskiren arm most notably hyperkalemia and hypotension. This was a large well conducted trial that does not the support the addition of direct renin blockade to ACEi or ARB therapy in patients with type 2 diabetes and chronic kidney disease. 4. Supreme Court upholding of the Affordable Care Act (30%)- The Supreme Court determined that the Affordable Care Act (ACA) was constitutional with the exception of the mandatory medicaid expansion earlier this year. Dr. Barry Staube, former Chief Medical Officer of CMS and current Director of the Marwood Group discussed how the ACA will affect patients with kidney disease and their providers in a brief commentary at eAJKD. 3. Results from the EVOLVE trial using cinacalcet in ESRD published in NEJM (33%)- Coming in at number 3 is the behemoth EVOLVE trial also presented at ASN Kidney Week in San Diego this year and published in NEJM. This was the largest and longest randomized clinical trial ever performed in patients on dialysis. Joel Topf reported on this story at eAJKD and in more detail at PBF. The trial was designed to test the hypothesis that treatment with cinacalet (an allosteric modifier of the calcium sensing receptor, a G protein-coupled receptor) would reduce the risks of death and nonfatal cardiovascular events among patients with secondary hyperparathyriodism who were undergoing dialysis. They found that the main cardiovascular end-point was not significantly different from the placebo arm nor was all cause mortality. However, as pointed out by Joel and discussed in the NEJM article, the cinacalcet group was on average older (55 yrs vs. 54) and age-adjusted analysis did show a "nominally" significant reduction in mortality. A significant reduction in parathyroidectomy was also noted. Side effects were seen in both groups but were more frequent with cinacalcet (hypocalcemia, nausea and vomiting). 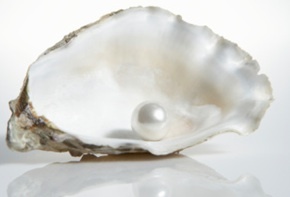 How this study will change practice will be born out in time. I applaud all of the investigators in pursuing an important issue that is germane to both patients and providers. 2. Phase 3 clinical trial (BEACON) testing bardoxolone in diabetic nephropathy abruptly stopped (38%)- The biggest shock of the year comes in at number 2. Just a few weeks before ASN Kidney Week came the announcement from Reata that the BEACON trial was stopped. They cited "excess serious adverse events and mortality in patients taking bardoxolone". RFN first picked up the story back in 2010 when I posted on preliminary results from the first 24 weeks of the 52 week phase IIb study that was presented at ASN that year. At that time it was noted that patients in the bardoxolone group had a mean elevation in eGFR of 10 ml/min when compared with the placebo arm. This was odd given that our most successful therapies, ACE inhibitors and ARBs typically lead to a drop in glomerular pressure and a slight rise in creatinine when started. In addition it was also noted that there were higher rates of nausea, decreased appetite, hypomagnesemia and muscle spasms with bardoxolone. The full results of the 52 week study were eventually published in NEJM and commented on by Gearoid. Again the rise in eGFR and higher adverse event rates were noted with bardoxolone but now additionally a rise in albuminuria was seen. Some interesting potential mechanisms for this emerged, including a down regulation in megalin which Gearoid posted on and the idea that albuminuria is not a perfect surrogate for future changes in renal function was also raised and commented on at PBF. With the above as backdrop, bardoxolone was the RFN number 5 story of the year in 2011. When the phase 3 study folded, Reata bailed on Kidney Week, no attempt to impart lessons learned or what next steps for the scientific community might be, just disappeared. Bardoxolone received a lot of hype and there was hope that this drug would represent a significant new treatment for patients with diabetic nephropathy. Looks like the end of the road for bardoxolone. 1. Results from TEMPO 3:4 trial using tovaptan in ADPKD published in NEJM (51%)- The major bright spot of the year was at ASN Kidney Week in San Diego to a packed late-breaking clinical trial audience when the TEMPO 3:4 results were presented. This was also reported by Joel at eAJKD. This was a randomized double blinded placebo controlled clinical trial comparing the vasopression antagonist tolvaptan to placebo in patients with Autosomal Dominant Polycystic Kidney Disease. This study showed that tolvaptan, as compared with placebo, slowed the increase in total kidney volume and the decline in kidney function over a 3-year period in patients with ADPKD. This is a major breakthrough, but several questions remain. How will these results this hold up over time and will this drug decrease the rate of progression to ESRD. Furthermore, the cost of tolvaptan is considerable and this therapy would be lifelong if proven effective. Again, quite a busy and exciting year in the world of nephrology in 2012. Thanks to all of the contributors and readers for keeping the site fun, interesting and educational. Who reads the Renal Fellow Network? Thanks to everyone who responded to our readership poll. We have seen a large increase in traffic to the site over the last year and it is important to know who your audience is. It was interesting to note that the largest category of visitors to the site are attending nephrologists followed by fellows who were the original target readership of the blog. One thing that I would like to reiterate: Graham and I have been involved in the site for a few years now and both of us are beyond the initial "discovery" phase where everything we see is new. As a result, our areas of interest may not coincide exactly with fellows who are earlier in their training. We have benefited greatly from the contributions of other nephrology fellows from around the country (and abroad). I would like to take this opportunity to again invite new contributors to the Renal Fellow Network. This blog is maintained on an entirely voluntary basis and we are dependent on contributors who give their valuable time to help educate others. If you are interested, please email Graham or me. We would appreciate your vote for the top nephrology-related stories of 2012. Take a second and click any of the answers on the right hand side of the screen that you think should be considered in the Top 10 stories. We will give the results of the poll shortly after the poll closes on Friday December 21st. 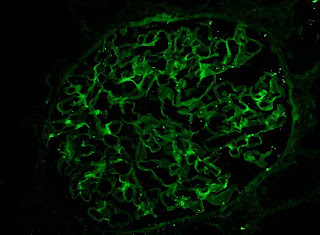 1) In diabetic glomerular disease you can see linear staining of GBMs with IgG, Kappa and Lambda. 2) The three C3 immunoflourescence patterns of post strep GN 1) Starry Sky (most common) 2) Garland (less common) 3) Mesangial (resolving Starry Sky). 3) Troubles from Star Fruit 1) Seizures in dialysis patients 2) Hyperoxaluria -> AKI, Nephrocalcinosis, and Calcium Oxalate stones. 4) Avoiding aminoglycoside toxicity - reduce the dose frequency. 5) Membranous risk categories by proteinuria and renal function: Low - less than 4 g/day, normal fxn, Med - 4-8g/day normal fxn, High - more than 8g/day, abnormal fxn. Every once in a while we like to get an idea of who our audience is. As a result, we have started a poll which will remain open for the next 7 days. The website was originally started with a nephrology fellow audience in mind but we know from the comments that our readers come from a more diverse group. We would appreciate if anyone visiting the site over the next few days could take a second and click one of the answers on the right hand side of the screen. This poll is completely anonymous. Developing accurate animal models of human diseases is a well-established research goal but a recent paper reporting a new animal model of nephrolithiasis caught my attention. Kidney stones are an important cause of morbidity and dealing with them is estimated to cost more than $5 billion yearly in the US alone. The majority of cases are due to calcium oxalate stones which variously results from increased urinary calcium excretion or increased urinary oxalate (which may be due to increased production or gut absorption of oxalate). A group in the Mayo clinic and Glasgow have developed a fruit fly model of calcium oxalate nephrolithiasis. Fruit flies have a single transparent kidney tubule and feeding the larvae a diet high in oxalate for just two days leads to the formation of visible calcium oxalate kidney stones. 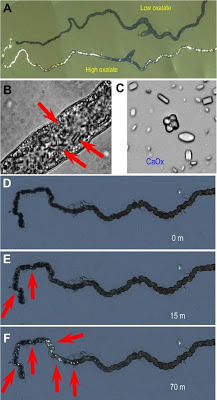 The upper panel of the image above shows a renal tubule dissected out from a fruit fly fed with oxalate compared with one fed with a normal diet. 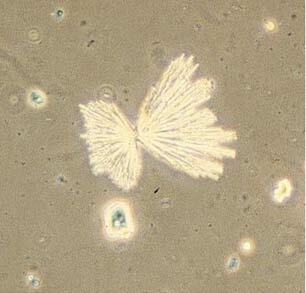 The second panel is a high power view of the tubule along with a nice picture of some calcium oxalate crystals. 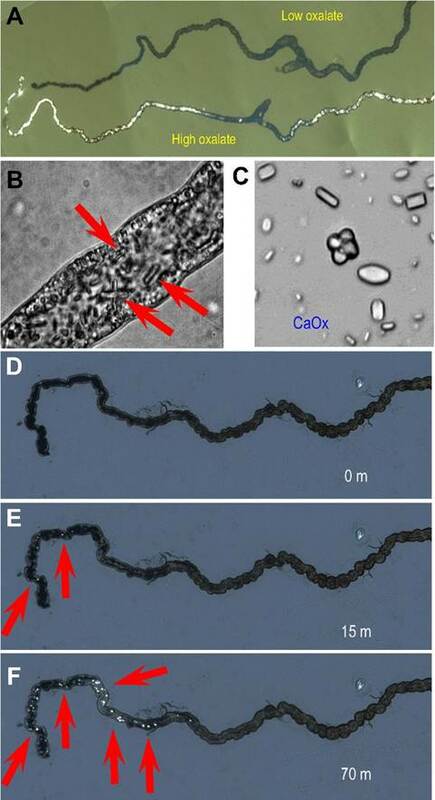 The lower 3 panels are a series of pictures of a tubule kept in a bath high in oxalate where you can see the crystals forming over a period of hours - the authors helpfully included a video if this happening in the supplemental data of the manuscript. There are also some micro-CT images of the fruit flies with the stones in situ. The rapid formation of stones in these flies makes it an excellent model for the study of nephrolithiasis. A 60 year-old woman with a longstanding history of hypertension, scleroderma and MGUS presented to the emergency room with diarrhea, vomiting and AKI (creatinine increased from baseline of 1.5mg/dl to 3.1mg/dl). 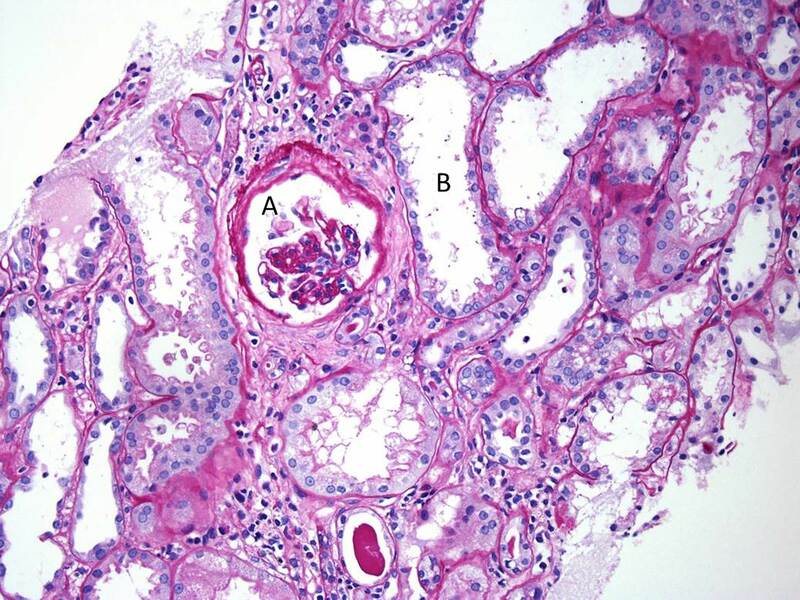 She had a distant history of membranous nephropathy diagnosed on a renal biopsy 25 years previously. She had been worked up in the renal clinic for CKD and had a renal US showing relatively small kidneys. Her medications included an ACE inhibitor. 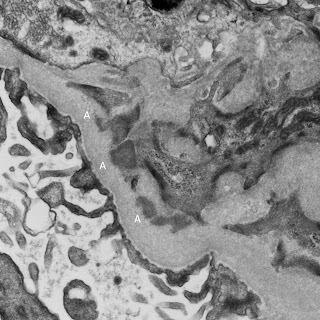 The image above is of the renal cortex. A single glomerulus is seen (A) which is hypoperfused. There is significant dilatation of the tubules (B) indicating acute tubular injury. There is attenuation and degeneration of the tubular epithelial cell layer. 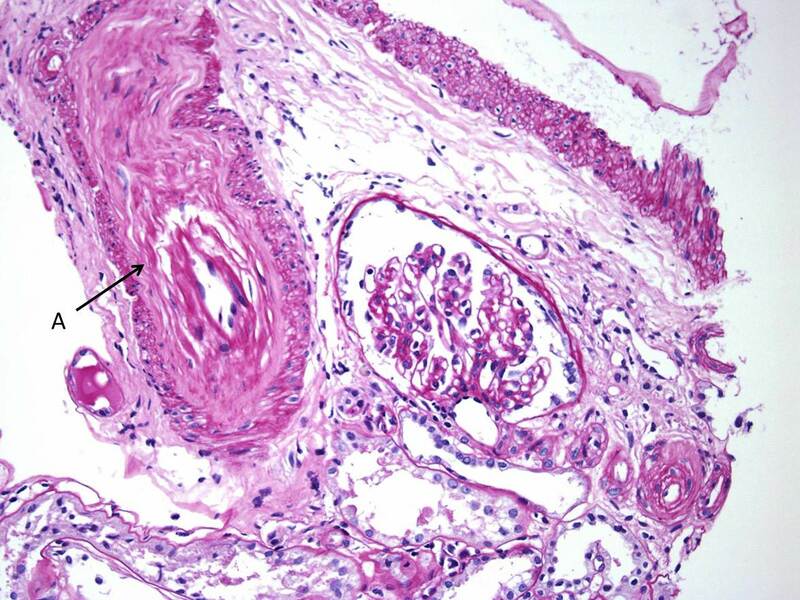 At the lower end of the image is an atrophic tubule with a hyaline cast. 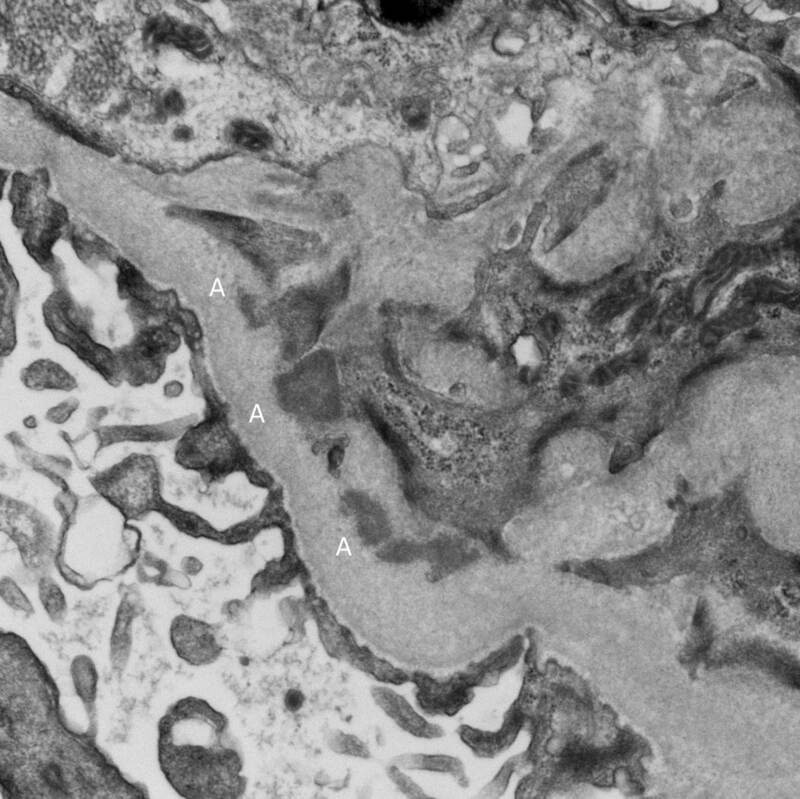 This image again shows a hypoperfused glomerulus. However, the main finding here is an extremely damaged arteriole (A). There is multilayering within wall of the vessel (that was replicated throughout the biopsy). The vascular lumen is almost occluded with endocapillary proliferation and remodeling of the vessel wall. In some areas of the biopsy (better perfused), the glomeruli looked relatively normal. There was some mesangial expansion with irregular capillary loops but no evidence of membranous disease. IF showed some minimal deposition of IgG in the mesangium but equal kappa and lamda light chains. Finally, the EM showed multiple mesangial deposits (A) of uncertain significance but again, no evidence of membranous disease. Notably, there were was no evidence of active inflammation in the biopsy. Following the report of the biopsy, the steroids were stopped. The patient's blood pressure was controlled and her renal function returned to baseline within a few days. It is likely that this acute episode was related to volume depletion and acute tubular injury exacerbated by her severe underlying vascular disease. Interestingly, she now has no albuminuria and she is back on her ACEi. The significance of the mesangial deposits remains unclear and she will be followed on an ongoing basis in the renal clinic. We often see patients like this on consult who present with AKI following a GI illness while on an ACEi. However, we don't normally get to see the pathology in these very common case. Labels: acute tubular necrosis, Gearoid McMahon, Image of the Month, Renal Biopsy. It is well known that hypokalemia does not correct easily if it is accompanied by hypomagnesemia. A medical student I met looked into this topic and found a “Science in Renal Medicine” article. According to this article, one of the mechanisms through which hypokalemia occurs in a hypomagnesemic state is through renal potassium wasting. Several observations have shown that magnesium infusion decreases renal K secretion in the distal nephron. 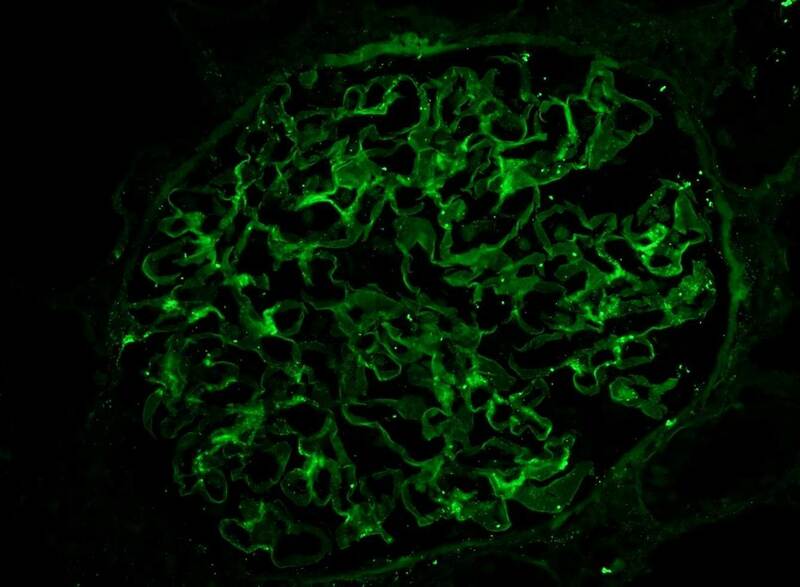 A study from Nature found that ROMK (aka Kir), one of two potassium channels in the distal nephron, is responsible for the distal renal K wasting in hypomagnesemia. The mechanism is that the intra-cellular free Mg blocks the pore of the ROMK channel and limits potassium secretion in a concentration-dependent manner; therefore low intracellular Mg level increases potassium secretion. Some renal Mg wasting disorders (e.g. Mg channel TRPM6 mutation) do not always present with hypokalemia. Why is that? 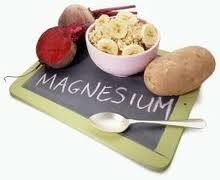 The reason is that you need 2 components for potassium excretion. One is increased K permeability of the ROMK, and the other is a driving force to secrete K like increased distal Na delivery or an elevated aldosterone level (via enhanced Na reabsorption in the distal nephron). It seems in these disorders you don’t have the second determinant for K secretion. Another fascinating renal physiology article! Now we are still confused but have a better understanding of hypomagnesemia in a case of hypokalemia. A gentleman with ESRD secondary to polycystic kidney disease comes in with vomiting and headache eight months after kidney transplantation. Brain MRI shows a small single enhancing lesion in the temporal lobe. Lumbar puncture reveals an elevated opening pressure (41), WBC 121 (77% lymphs), elevated total protein (210) and low glucose (41). Cultures are negative. The top 3 differentials of CNS masses in post-transplant kidney recipients are: neurotoxoplasmosis, lymphoma and tuberculoma. EBV negative status prior to transplantation increases your risk of post-transplant lymphoproliferative disorder (PTLD) and checking EBV VL could help with initial evaluation. Coming from endemic areas of tuberculosis (TB) raises the suspicion for tuberculosis. TB in kidney transplant recipients is a particular challenge both diagnostically and therapeutically. Atypical clinical presentations (extra-pulmonary) and negative tuberculin skin tests/sputum smears are frequent. The treatment of TB also has its own challenges, which include pharmacokinetic interactions between immunosuppressive and antituberculous medications (reduction of FK by more than 60% is required), allograft-related drug toxicities, and inadequate immune responses to Mycobacterium tuberculosis due to exogenous immunosuppression. In general, empirical therapy of neurotoxoplasmosis is instituted in immunosuppressed patients with an enhancing brain lesion, consisting of sulfadiazine, pyrimethamine and leucovorin. Reduction of immunosuppression is also indicated and follow up imaging is performed. Last resource if no improvement and negative work up is to perform a brain biopsy to obtain tissue specimen. Treatment of neurotoxo with high doses of sulfadiazine may precipitate acute kidney injury by crystal formation (~30% of patients), in particular if volume depletion is present and urine pH is 5.5 or less. Intra-renal crystalluria may be prevented by maintaining fluid intake above three liters per day (PO or IV). Monitoring of serial urinalyses for the development of crystalluria is recommended. For those developing crystalluria, intravenous bicarbonate solution to alkalinize the urine (goal pH above 7.15) is administered. The patient above developed significant AKI (creatinine increased from 1 to 4) after sulfadiazine treatment and crystals were identified in the urine (representative figure). Be aware of potential drugs/toxins** that might form intratubular crystals and precipiate AKI. Act pre-emptively with fluid hydration +/- alkalinization of urine depending on the toxin. *** Remember that for MTX renal toxicity, there is glucarpidase as a last resource to quickly reduce MTX levels in patients with AKI and persistently high MTX levels 48 hrs after dosing. This month’s eJournal club concerns biomarkers of AKI. There has been considerable interest in developing novel biomarkers of AKI and CKD and a lot of effort has been focused on novel biomarkers such as NGAL, KIM-1 and IL-18. The TRIBE-AKI consortium has published a number of well-designed studies investigating novel and traditional biomarkers. The reason that these biomarkers are desired is because creatinine elevations tend to occur relatively late in the course of AKI and therefore, the sense is that this is too late to initiate therapies which may prevent progression of AKI. However, the results of these biomarker studies have been relatively disappointing and they have not yet entered regular clinical practice. This month in CJASN, a study was published looking at the performance of post-operative albuminuria as a biomarker of AKI in patients following cardiac surgery. The highest quintile of albuminuria was associated with a RR of 2.97 for AKI relative to the lowest quintile. While this appears good and the AUC for a model including albuminuria to predict AKI was 0.81, the majority of patients with albuminuria did not develop AKI and the model missed a significant number of patients with AKI. Still, when you combine this with other studies showing that the urinalysis is an excellent predictor of outcome in patients with AKI, older biomarkers are not looking so bad after all. Perhaps we will be able to come up with a combination of biomarkers which will allow us to better predict those patients at greater risk of AKI. To me, it seems that the bigger issue is low sensitivity rather than low specificity. I would rather have a model which will allow me to rapidly rule out those who will not develop AKI than one that will misclassify patients into a low risk group. It was interesting in this study that ACR was not a good predictor of AKI – the absolute level of albumin performed better. This is at odds with the majority of studies which suggest that albumin should be corrected for creatinine level. This is possibly due to the large variation in creatinine generation in patients in the ICU – although relatively constant under normal circumstances, the amount of creatinine produced daily changes rapidly in sick patients – as was evidenced by a recent study of creatinine excretion in patients on CRRT.